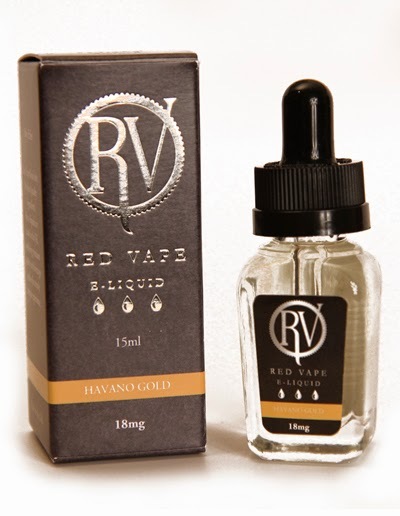 The Tobacco Collection is described on the Red Vape website as follows. RV have worked tirelessly to capture the true essence of popular tobacco flavours and have only used premium tobacco leafs in our premiun range and Reserva range.This is about as close you as you will find to actual tobacco flavouring in e liquid. There is nothing artificial our Tobacco Collection, these are made by extracting real tobacco and other all-natural ingredients, to provide more satisfaction than the artificial tobaccos that are so frequently used in the industry. The Tobacco Collection Premium range come in 15 ml RV ‘square’ glass bottles with a glass pipette and child safety cap combination. The medium version of the RV gold with Natural Tobacco Flavouring derived from the Cuban Corojo tobacco variety, blended with Corojo tobacco grown in the Jamastran Valley of South Honduras. You get an amazing aroma of sweet hand rolling tobacco, it has a real natural tobacco note to it. The best way to describe to aroma, would be the aroma you get from the side of an empty box of cigars. This flavour seems to delicately work its way up your tongue, and start to engulf your taste buds in a heart warming tobacco sensation, with all the high notes from the tobacco leaf, with seemly none of the bitterness that you some times relate to tobacco leaf vapes. At the peak of the inhale it delivers an ultra smooth throat hit, a long lasting sweet leaf aftertaste. The exhale is full of rich tobacco leaf flavours, whilst still maintaining the natural underlying sweetness. I have really enjoyed Vaping this tobacco based eliquid, and found it full of body and flavour whilst been light enough to Vape all day. Great combination. Natural Tobacco Flavouring derived from the Cuban Corojo tobacco variety, blended with Corojo tobacco grown in the Jamastran Valley of South Honduras. As you open the bottle, you are greeted with a true tobacco aroma, like opening a bag of high quality hand rolling tobacco. It even has the lite tobacco bitterness to the aroma, that tickles your nose. As you start to draw in the vapor, you instantly start to get the earthy tobacco flavours coming through, the taste of real cut leaf tobacco. 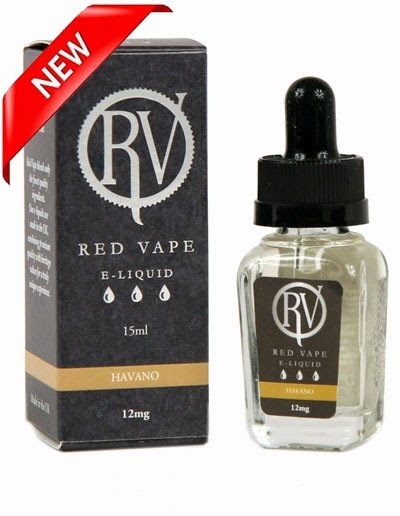 The vape is less moist, in flavour than the Reserva ejuice, and defiantly has a more hand rolling tobacco leaf flavour to it. It does seem to have hint of lite Caramel to the flavour, just a real undertone on the exhale through the nose. As the vapor hits the back of your throat it delivers a satisfying tobacco style throat hit, with a level of harshness that is very in keeping with the overal vaping sensation. This ejuice is defiantly one for the vapor looking for the true tobacco vaping sensation, with an exceptional level of flavour and a solid throat hit. leaving you with a pleasing leaf tobacco taste in the month. Natural Tobacco Flavouring derived from the Dominican Criollo tobacco variety, grown in the plantations of Cuba. Originally Criollo had multiple uses in the construction of the Cuban Cigar. As you unscrew to cap, and start dripping the thick ejuice onto the fresh white cotton, you start to get the full aroma rising up, a very rich distinctive tobacco, more of a rounded aroma than the Gold, more of a dry leaf aroma. 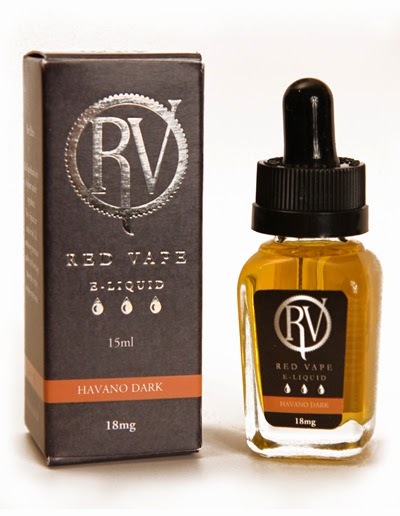 On your first vape, you get a very pleasing tobacco flavour filling your month, a rich cigar flavour, not as strong as cigar, but defiantly that same full bodied flavour, well aged, and cured. There is no bitterness to this one, a flavour more on the woody side, which gives it, it's lighter side to it. As you continue to vape, you seem to new levels of flavours coming through, there is a sweetness to the vape, that you seem to get on the tip of your tongue. Not a Carmel sweetness, more of some kind of floral sweetness, which is not by anyway overpowering, just adds to the overall vaping sensation that this juices deliveries. As the vapor reaches the back of your throat it deliveries a realy nice ultra smooth throat hit, which was very pleasing if not unexpected. The vapor production on this juice seems massive, and soon fills the room with a sweet cigar smelling aroma. Again, another great luxury ejuice for the true tobacco lover. Delivering a real flavour of a high quality cigar, but with out the heaviness or power. Just all the good bits. It really is one of the most true to life cigar vapes, that I have tried, and the aroma is amazing, it's like opening one of those wooden cigar boxes and sticking your nose in. As you draw in the vapor, this aroma seems to instantly enter the nose, to give a great vaping sensation. To rich in flavour to be an all day vape, but a great vape to relax with in the evening.